Delegates at a global wildlife conference on Sunday voted to ban international trade in African grey parrots, one of the world's most trafficked birds. Prized for their ability to mimic human speech, the birds are a highly sought-after pet, but their numbers have been decimated in recent years by poaching and the destruction of their forest habitats. The Convention on International Trade in Endangered Species (CITES) meeting in Johannesburg voted 95 to 35 in a secret poll to ban the global commercial trade of the parrot. 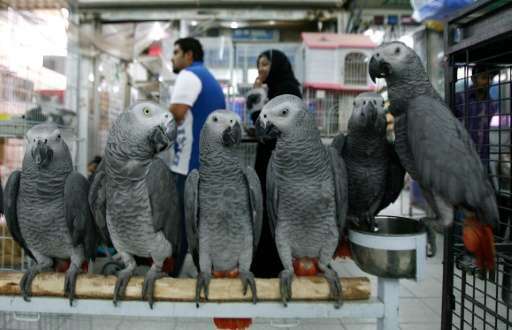 CITES said the vote result would give the African grey the "highest level of protection" by listing it in "appendix 1", which outlaws all international trade in animals facing possible extinction. Dr Colman O'Criodain of conservation group WWF called the move "a huge step forward" in protecting the bird. 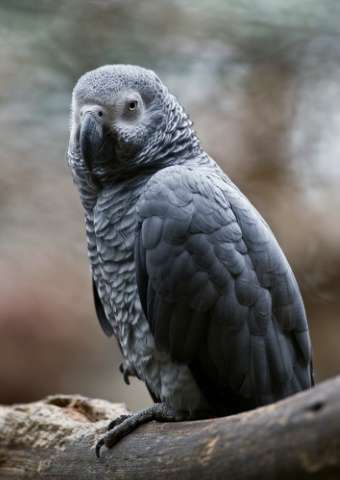 "Fraud and corruption have enabled traffickers to vastly exceed current quotas and continue to harvest unsustainable numbers of African grey parrots from Congo's forests to feed the illegal trade," he said. "Banning the trade will make it easier for law enforcement agencies to crack down on the poachers and smugglers, and give the remaining wild populations some much-needed breathing space." The African grey parrot will now have "the highest level of protection"
The International Fund for Animal Welfare (IFAW) estimates that between 2.1 and 3.2 million African greys were captured between 1975 and 2013. Susan Lieberman of the Wildlife Conservation Society said the parrot had experienced "significant population declines throughout its range in West, Central and East Africa". "If this bird could talk –- and it certainly can -– the African grey parrot would say thank you." The CITES treaty, signed by 182 countries and the European Union, protects about 5,600 animal and 30,000 plant species from over-exploitation through commercial trade. The 12-day conference, which ends on Wednesday, is sifting through 62 proposals to tighten or loosen trade restrictions on around 500 species.